The Monarch Mountain Bands high-stepping, toe-tapping progressive approach actually began in the 6o’s in the California foothills with Scott Reid. Reid studied piano, brass, banjo, guitar and harmonica as a child. As a member of a very musical family his influences ran the gamut, from folk, jazz, rock, blues, country, marching bands, showtunes to symphony. Reid has decades of playing experience and brings his expertise of multiple instruments to this revolutionary group. Scott Reid Vocals, Banjo, Guitar, Fiddle, and Harmonica. 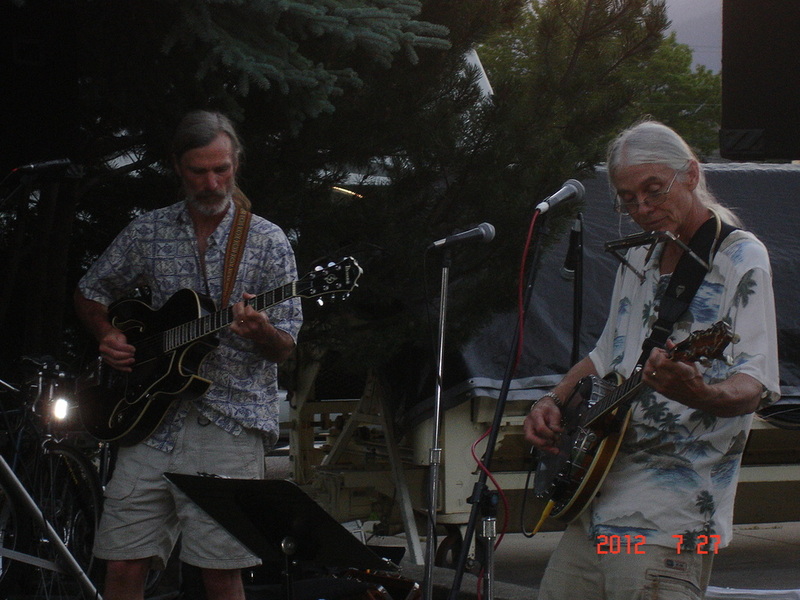 Founder of the Monarch Mountain Band and Multi-instrumentalist. Music teacher in both Sandpoint, Coeur d' Alene, and Bonners Ferry. Tom Dubendorfer Tom hails from Northern California. He is a dedicated Guitarist, Mandolin, picker and vocalist. He brings his fastgun jazzgrass style to the band. 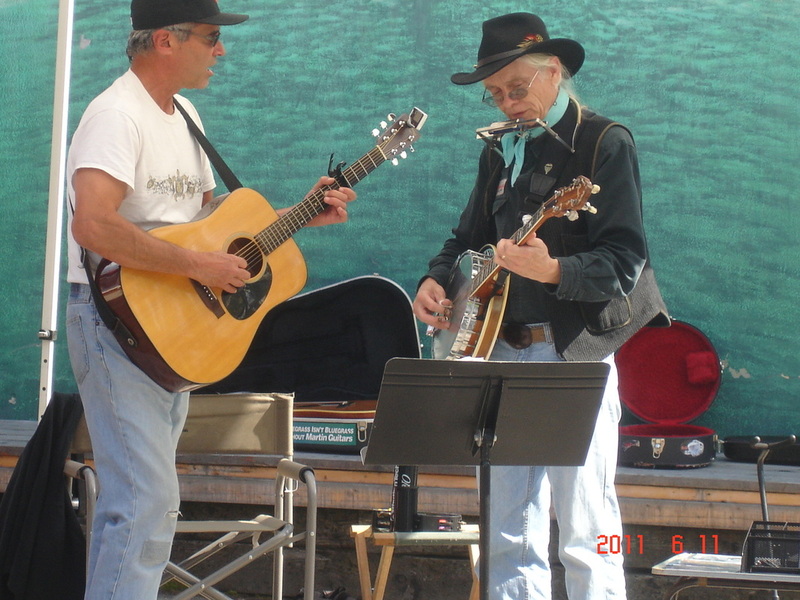 He has been a main member in the Monarch Mountain Band for nearly 15 years. 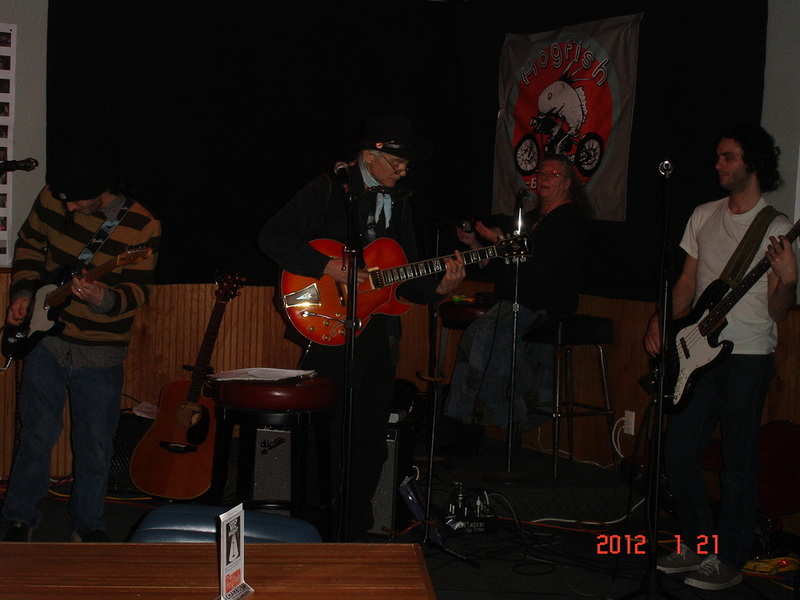 He is well versed in Old Time, Bluegrass, Jazz, Blues, Swing, and Rock formats. He is a truly awesome Lead player, and is in hot demand. Tom is also involved with many other fine bands in the area. Laurie Reid Laurie plays percussion and sings backup in the band. She is credited with performing with many local acts over the years, as well as some regional. Drew Browne Drew adds his Upright Bass, Electric Bass, Lead Guitar, and Vocals to the mix on special occasions. He is one of the best musicians around and we enjoy having him play, so will you. Fiddlin Red Simpson The newest addition to the group, is a featured guest at times. Red is a veteran performer and Wild West Mountain Man. 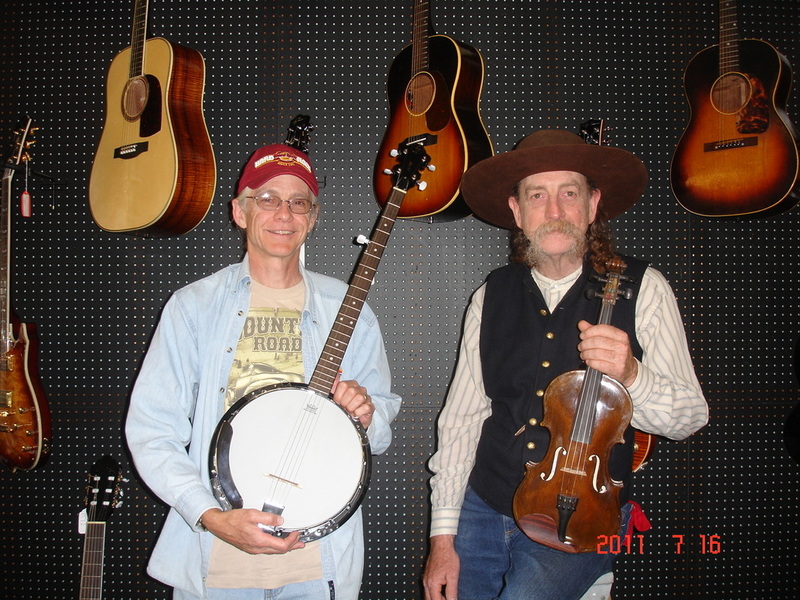 Red's hot Fiddlin, Mandolin, and Klaw Hammer Banjo add Old Time flavor to the Band. His knowledge of instrument repair and American History is extensive. Aaron Birdsall Aaron is a special guest at some performances. He plays Lead and Rythm Guitar, Piano, and Bass. He sings both Leads and Back-up Vocals. To his credit he is a prolific song writer and accredited sound engineer. He performs regularly with his own band, and occasionally with MMB. He has Mastered our recordings, as well as Engineering the "If all else Fails" CD. He adds much each and every time he plays with MMB. Dan DeRosier Dan plays Blues Guitar well, but mostly helps the Band by the making of many Live Recordings, including "Live at the Winery", and "Live and Still Vertical" CD's. He is currently in production of 2 more CD's featuring Fiddlin Red. Soon to be done, we look forward to add them to our other CD's. Much thanks Dan. 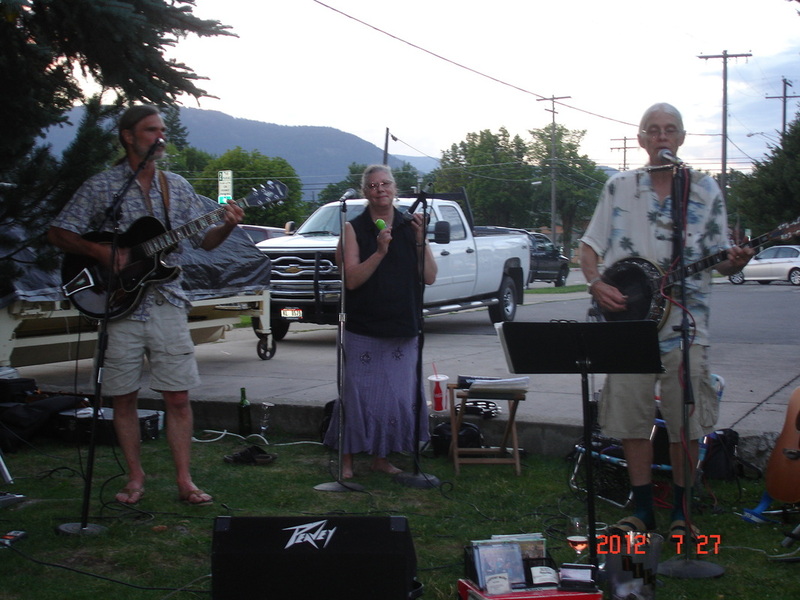 The Band has kept busy at weddings, private parties, and local pubs and restaurants in particular Schweitzer Mtn. Resort, the Pend d’oreille Winery, Sandpoint, the Moontime Restaurant, Cda., The Spokane Indians Ballclub at Avista stadium in Spokane, at the POAC Park Place summer concert series as well as the Sandpoint Art and Crafts Festival at the beach, and the Sandpoint Farmers Market. WE LOVE THE OUTDOOR GIGS. SCOTT AND FIDDLIN RED PREPARING FOR A GIG. DON'T MISS THE OLD TIME MUSIC THESE TWO CAN PUT OUT TOGETHER! Scott Reid and Tom D'Orazi pickin away, great licks, good times. Tom Duebendorfer jammin out some tunes at the Octoberfest in Sandpoint Idaho!